Y'know, folks our age often find they need some extra income to do all the things they'd like, limited though these things may be. Often as debts pile up high, people entering the Golden Years find themselves lucky if they can afford bingo and shuffleboard, let alone checkers! Now there's an answer for folks like you and me and Judy. The good people at American Friends Happy Face Financial recently asked me to chat with you about a great opportunity called a Re-verse Mortgage. If you're 62 or older and own your own homes like I do --- I mean, own your own home --- this is a Godsend for you! And that's whether you're Jewish or Christian, or alternate between both of them like I do. How does it work? There must be some kind of way to tell you! Before the bank makes final demand? Before they grab him by his gland? The answer is Re-verse Mortgagin'. Before over them you can't see? Into bucks insured by FDIC? Before he can see what is why? Before he can hear me decry? You're wearing clothes in which people have died? How does it feel to get a Re-verse Mortgage? You'll be thinking that you've got it made! So call your good friends and neighbors at American Friends Happy Face Financial right now! Joan Baez is standing by. Great job, Marie! I'm sure you'll get a call from Bob Dylan, the new Michael Jordan. All I can say to anyone about mortgages, reverse or otherwise, is this: Keepa yo' grubby hands offa my own home. Now, I've got a mortgage for you with a rate way too good to pass up! I can't top any of this. No musical or lyrical talent at all. Me either. That's why I sing and dance over the internet only! It's the third post down, so you can skip the first two if you like. Russell, I don't even have to think twice, that's all right! In fact, BRILLIANT! 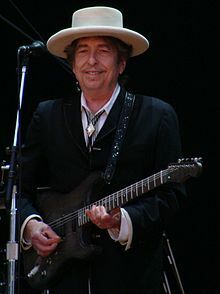 We don't even need Mr.Dylan to make money on Re-verse Mortgages. Let's just grab Joan Baez and go!